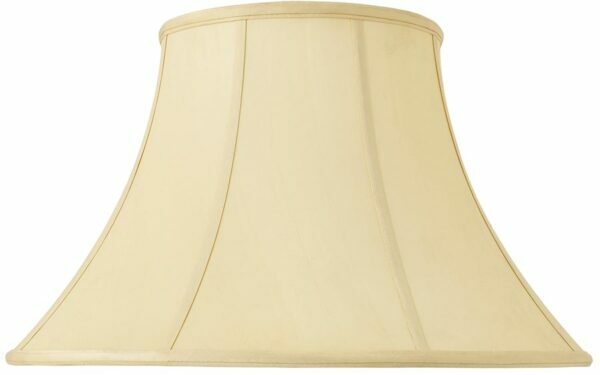 The Zara tapered Empire 20-inch honey silk floor lamp shade is suitable for a floor lamp standard. Height 30cm, base diameter 51cm, top diameter 26cm. Maximum 60w lamp. The Zara tapered Empire 20-inch honey silk floor lamp shade, part of the Rochamp premium lighting collection from Interiors 1900. Is the Zara standard lamp shade lined? This 20″ Honey Zara shade is made from an outer of 100% silk and is lined with faux silk.